SearchRoad is a tiny app for highlighting the power of functionalities among the different Leaflet’s plugins. The aim of SearchRoad is to undestand which is the code we wanto to use in order to properly display an our map in Leaflet, on mobile as well. This guidelines presents a simple app, named SearchRoad based on one of several plugins whose the community makes widely use in asssociation to base library leaflet.js . We give a CSS style to it in order to be compatible for Chrome browser on mobile phone. Notice that the presence of vw instead of % because a bug on such browser. On adding only these few rows, the basemap is already visible on every kind device. Once enabled the map, It is possible to visualize it on mobile’s browser.Now, We add a functionality for making it iteractive. So, we get OSM Geocoder plugin, developed for performing Openstreetmap Nominatim Geocoder APIs . We add the following rows for inserting the plugin from CDN. Visit the official demo to figure out its mode of operation. SearchRoad is visible below. Note that the callback function inserts on the map a marker which locates the address with a satisfying precision. 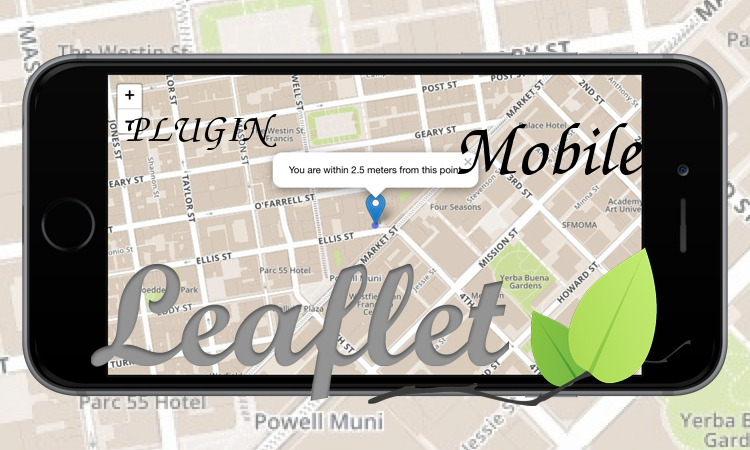 SearchRoad highlights one of the multiple possibilities which LeafletJS provides to users, thanks to use of its plugins which widely simplify the scripting language for performing each kind of feature to a map. The exercise we have seen can be improved, Actually, we can enhanced the accuracy of the marker on the map. On the other hand,it is a little bit complicated to consider another type of feature as result. An example: in case we want to search a road or a square we would like to highlights them through a colored line or polygon.